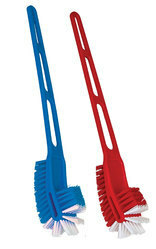 Appreciated as a reliable manufacturer and exporter, we offer Cleaning Care Products. These cleaning products are used in various commercial, industrial and residential establishments for cleaning different surfaces. 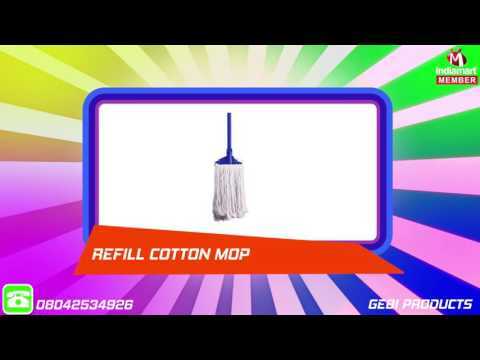 Gebi Products, established in the year 1997, is known among its patrons for the purpose of manufacturing and exporting the premium quality of Cleaning Care Products. 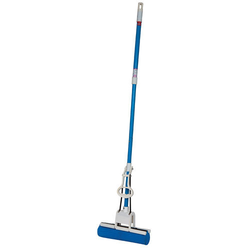 The product range offered by us consists of PVA Mops, Cotton Mops and much more. For manufacturing the offered cleaning and body care products as per the industry laid norms, we make use of quality assured materials and latest machinery. Owing to their high effectiveness, longer shelf life and compositional accuracy, these body care products are highly demanded in the market. Our valuable patrons can avail these body care products at cost-effective prices. With the aid of our large production capacity, we have been able to meet the bulk demands in the most efficient manner. Quality of the offered range of cleaning and body care products is never compromised at our end, by carrying out various quality assurance procedures. With the aid of our wide distribution network, we have been able to deliver the offered cleaning and body care products at the patrons’ end. Gulf Countries and Asian Countries are some of the places where we export our product range. By manufacturing and supplying the best quality cleaning care products, we have attained the trust of our esteemed clients. Determined to attain maximum customer approval, we assure the delivery of the offered cleaning and body care products at the clients’ end within the assured time frame. Being a quality focused and oriented organization, we assure that the premium quality of the offered cleaning care products is never compromised. Total quality management at different stages of production; ensure that the premium quality is always maintained. For this, we have appointed a team of skilled quality controllers, who hold expertise in their area of work. 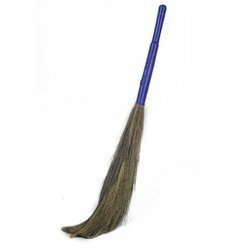 We are offering Floor Broom. We are offering Bottle Brush.